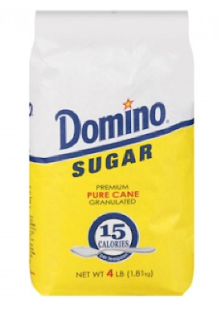 This sales cycle at Giant PA, Domino Sugar 4 lbs. is on sale for $1.49 each. Add a $0.75/2 coupon and pick up two for $1.48 - $1.98 after coupon!!! Remember, our Carlisle, PA store doubles this coupon to $1.50!!!! Print two coupons per computer! !